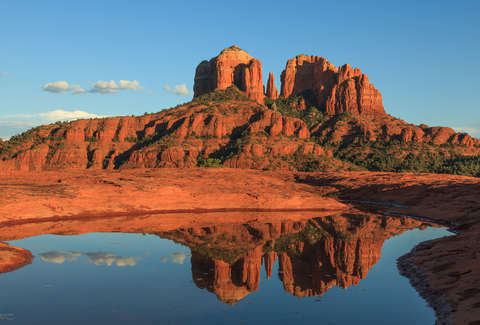 Sedona is arguably the hottest weekend destination in Arizona, known for beautiful red rock views, high-end spas and shopping, and spiritual energy. Located two hours north of Phoenix, it offers Valley residents an escape from the busy crowded city, and tourists a chance to see one of the Grand Canyon State’s prettiest areas. With a population of only 10,000, it’s definitely a change of pace for most, and from boozy lunches with a view to psychic readings, there’s something for everyone looking to relax and renew. like Cathedral Rock, Bell Rock, and Boynton Canyon. These are great places to meditate, practice yoga, or just soak up the vibes. Dine on the banks of Oak Creek at Etch Kitchen & Bar at L’Auberge de Sedona and enjoy one of the best views in Sedona that doesn’t require a hike. 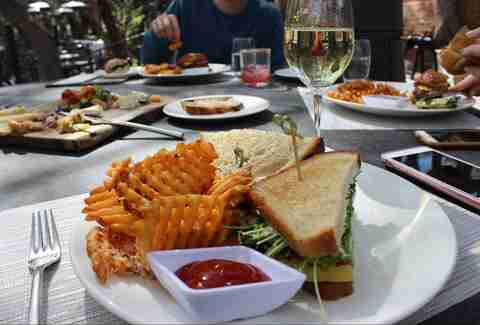 The award-winning restaurant features a delicious menu with dishes like avocado tomato sandwich and house pastrami, and don’t forget to have a cocktail while you’re there -- the pomegranate margarita is amazing. You can’t take a trip to Sedona without going on a hike. The hikes here range from extremely easy to somewhat treacherous, so there’s no excuse not to give at least one a try. 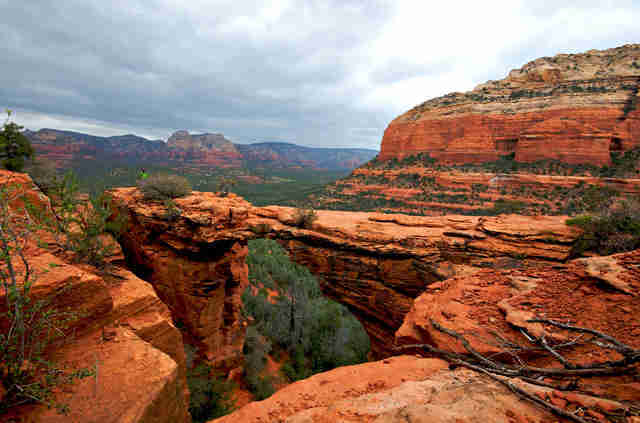 Devil’s Bridge is great for photos, while Bell Rock is on the easy side and has great views. For any hike in Sedona, arrive early, expect to waste time trying to find a place to park, and bring plenty of water and sunscreen. Even if you’re not totally sold on a psychic’s ability to see into your future, stop by the Center for the New Age, where getting a reading doesn’t even require an appointment. It’s not hard to find a psychic in Sedona, just pick out a reader you feel a connection with and see what happens. Yoga is great no matter where you are, but in Sedona it can be a truly life-changing experience. 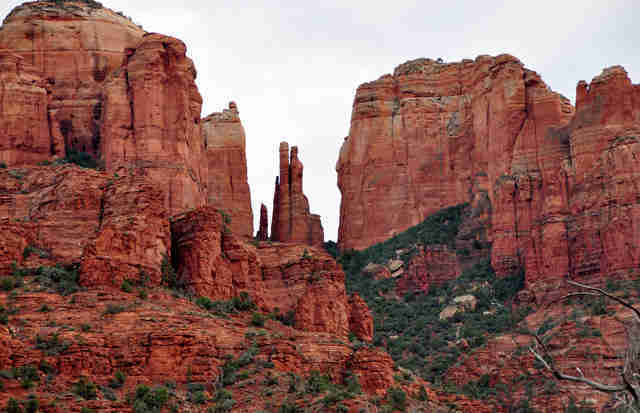 We say you skip the studio and take an outdoor class, and at Vortex Yoga Hiking, you can check off three of our recommended Sedona activities in one go, with the help of an experienced guide. 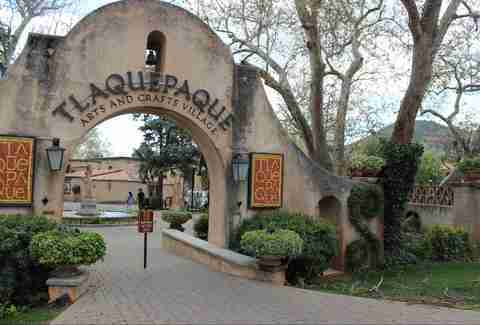 Local art is a huge part of Sedona’s culture, and Tlaquepaque Arts and Crafts Village is one of the top spots to explore galleries, shop for Sedona-exclusive items, and grab a bite to eat at the Secret Garden Cafe. Plus, the atmosphere is second to none with its cobblestone paths, ornately tiled stairs, and vine-covered walls. If you’re not pampering yourself in this town, you’re definitely doing something wrong. Nearly every resort here has a spa, but we recommend Sedona’s New Day Spa. Take advantage of some of the unique treatments like the Desert Moon Deep Healing Massage or the Nature’s Desert Flower Rejuvenation hydrating, anti-aging healing treatment. 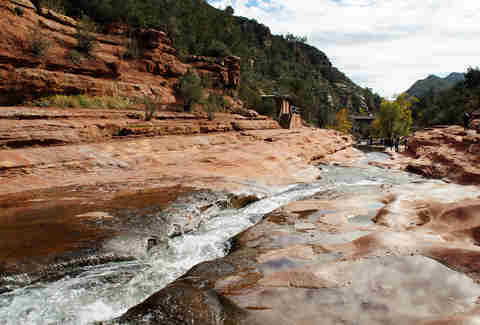 Slide Rock, located in Slide Rock State Park, actually originated as an apple farm, but now you can take a trip down the natural slide into Oak Creek and splash around while basking in the surrounding beauty. You can also reserve a ramada, host a bonfire, and explore the surrounding canyon. Whether you’re religious or not, Chapel of the Holy Cross is a sight to see if you have any interest in architecture. 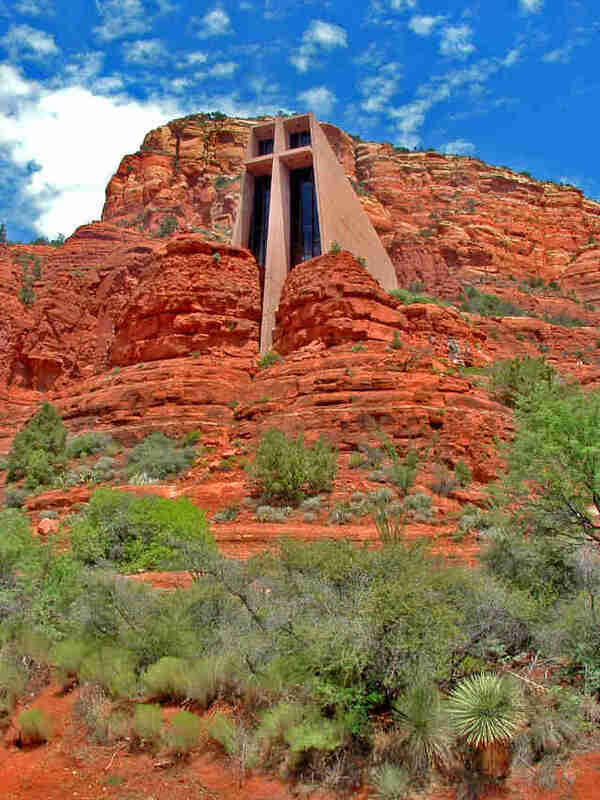 The church, which is wedged between the Sedona red rocks, is truly spectacular and open for tours. And as with all great attractions, it has a gift shop. 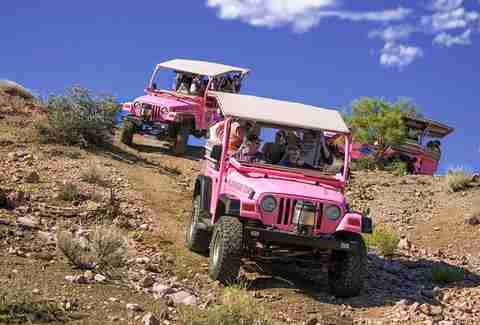 Nearly everyone who’s been to Sedona has seen the notorious Pink Jeep Tours around town and in the hills. While you might write them off as cheesy, they’re actually pretty fun, which is why they’ve been in business for over 50 years. Several tour options are available, like driving around the red rocks, visiting ancient ruins, and even taking a 10-hour trek to the Grand Canyon. Jamie Killin is a Phoenix writer who loves a great day trip. See her favorite spots on Instagram at @jamiefayekillin.